I have said years ago there are billions of planets just like earth, so similar that if a person from earth were placed on anyone of those planets they would not know it wasn't earth. Unless it had more than one sun. Humans are not unique in any way, shape or form, put that in your pipe evolutionists. Nevertheless, there are billions of planets that are far different from earth and earth's present life forms. Life forms that are far superior and would not mix well with humans, humans who are used to believing they are the dominant force on earth if not the whole universe. 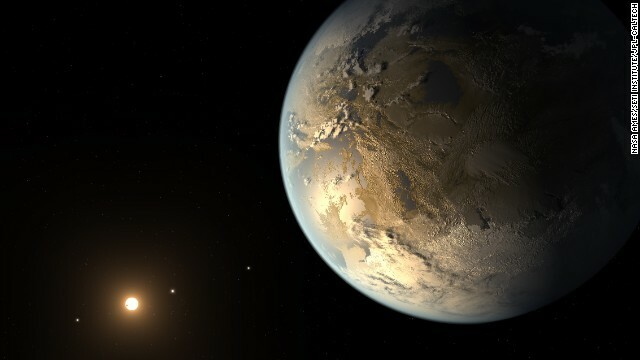 (CNN) -- Scientists looking for signs of life in the universe -- as well as another planet like our own -- are a lot closer to their goal than people realize. That was the consensus of a panel on the search for life in the universe held at NASA headquarters Monday in Washington. The discussion focused not only on the philosophical question of whether we're alone in the universe but also on the technological advances made in an effort to answer that question. "We believe we're very, very close in terms of technology and science to actually finding the other Earth and our chance to find signs of life on another world," said Sara Seager, a MacArthur Fellow and professor of planetary science and physics at the Massachusetts Institute of Technology. "Finding Earth's twin, that's kind of the holy grail," said John Grunsfeld, an astronaut who helped repair the Hubble Space Telescope in 2009 and is now an associate administrator at NASA. Scientists have made stellar strides in the past few years alone. "We already know that our galaxy has at least 100 billion planets, and we didn't know that five years ago," said Matt Mountain, director of the Space Telescope Science Institute in Maryland. He credited the work of the Kepler Space Telescope for these new discoveries. The planet-hunting Kepler probe, launched in 2009, finds planets by looking for dips in the brightness of a star as a planet transits, or crosses, in front of that star. 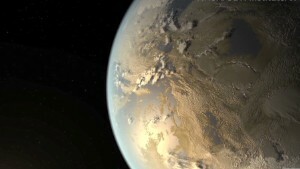 Kepler also found the first Earth-size planet that orbits in a star's habitable zone, the area around a star where a planet could exist with liquid water on its surface. The Kepler Space Telescope, launched in 2009, finds planets by looking for dips in the brightness of stars as a planet crosses in front. 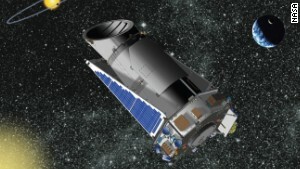 The Kepler mission builds upon the stalwart Hubble Space Telescope, which launched in 1990 and was the first of its kind to be placed in space. As Hubble orbits the Earth, it allows scientists to peer back in time, into distant galaxies, and yields stunning images of the cosmos. Hubble has helped shape our awareness of our planet's place in an ever-changing universe. The Earth, though 4.5 billion years old, is a newcomer, said John Mather, senior project scientist on NASA's next-generation James Webb Space Telescope. It's only about one-third of the age of the universe. And our galaxy is ever-evolving, with "about five or 10 new stars being born per year in our Milky Way," Mather said. Hubble's astounding views come from a vantage point only 353 miles above our Earth. 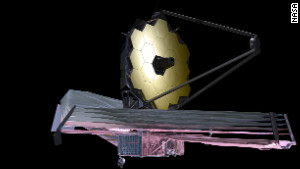 An artist's depiction of what the James Webb Space Telescope will look like. In comparison, the James Webb telescope will be a whopping 930,000 miles from our planet. That's close to four times the distance between the Earth and the moon. Webb is set to launch in 2018. Mountain, who is the telescope scientist for Webb, said scientists now know where every single star is within 200 light years of the Sun. NASA's assembled panelists said, if they follow this map of stars, they're certain to find a multitude of new planets. "Every star in the sky is a sun, and if our sun has planets, we naturally expect those other stars to have planets also, and they do," said Seager. She said if someone looked up at a starry sky and wondered how many of the stars have planets, the answer would be "basically every single one." Some of a star's light will shine through the atmosphere, said Seager, and the Webb telescope should be able to pick up gases from the planet that are imprinted on the atmosphere. While the Webb telescope wasn't designed to find signs of life on another planet, it can spot biosignature gases -- gases in the atmosphere produced by life. Seager said, with the James Webb telescope, "we have our first chance, our first capability of finding signs of life on another planet. Now nature just has to provide for us." Finding small planets, ones the size of Earth, is challenging, in part because they produce fainter signals, said Dave Gallagher, director for astronomy and physics at NASA's Jet Propulsion Laboratory, who likened it to spotting a firefly beside a searchlight. That difficulty doesn't dull the hunt for another Earth or signs of life.